June 7, 2018 – Registration for Louisiana Department of Wildlife and Fisheries (LDWF) 2018 alligator lottery hunts on wildlife management areas (WMA), public lakes and U.S. Army Corps of Engineers (USACOE) property has opened, LDWF announced. Registration is open to eligible alligator hunters through a lottery selection system on five LDWF Coastal and Nongame Resources WMAs, 14 LDWF Wildlife WMAs, 25 public lakes and one USACOE property. Application forms can be found at http://www.wlf.louisiana.gov/hunting/lottery-hunts or requested by phone for CNR Division WMAs at 337-373-0032 or Wildlife WMAs and public lakes at 225-765-2346. Applications and non-refundable application fees of $5 must be submitted to the address indicated on corresponding applications and be postmarked by July 5. The USACOE property includes Indian Bayou (USACOE), St. Landry and St. Martin parishes. To assist applicants in selecting specific WMAs/public lakes, LDWF has posted the percentage of lottery alligator harvest applicants selected in 2017 by WMA or public lake on its website at www.wlf.louisiana.gov/lottery-alligator-harvest-program. Only one of the three available lottery alligator harvest applications (CNR Division WMA, Wildlife WMA or Wildlife public lakes) may be submitted per applicant. Additional applications will result in voiding all applications of the applicant. For more information on CNR Division WMAs, contact Jeb Linscombe at 337-373-0032 or jlinscombe@wlf.la.gov . 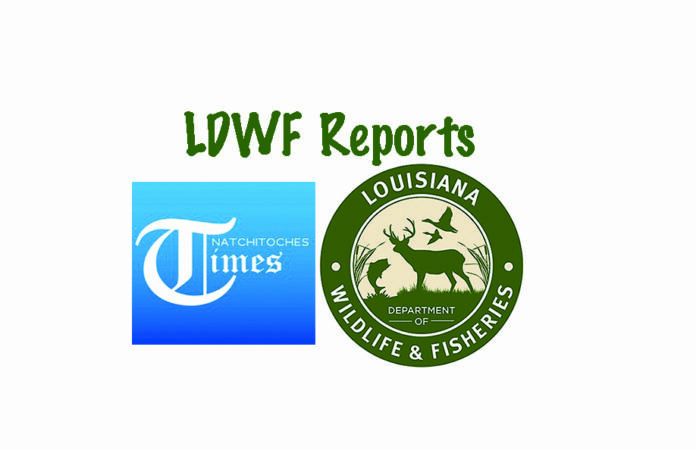 For more information on Wildlife WMAs or public lakes, contact Steve Smith at 318-487-5885 or ssmith@wlf.la.gov .